MINNEAPOLIS, MN--(Marketwire - Nov 5, 2012) - Agosto, Inc. (www.agosto.com), one of the world's oldest and fastest-growing Google Apps and cloud services consulting firms, today announced that it successfully helped WinZip Computing, a Corel company, move its entire domain to the Google Cloud in advance of Hurricane Sandy. The quick actions of Agosto's and Corel's teams prevented any loss of service to WinZip and its employees during the ensuing power and Internet outages on the east coast of the United States. Corel is in the process of migrating its on-premise servers to the Google Cloud with help from Agosto, a Google Apps Premier Reseller. On Monday, October 29, Corel recognized that its WinZip division was in the predicted path of Hurricane Sandy and that a loss of Internet service or power could take down its ability to communicate via email. Corel's WinZip technical support team called Agosto and made an urgent request for assistance in moving the WinZip domain to Google. "We received an emergency message to migrate WinZip to Google Apps and immediately began working together on the migration," said Aric Bandy, CEO of Agosto. "Within about five hours, Agosto's Certified Google Apps Deployment Specialists had helped WinZip to deploy Google Apps. We're pleased to have been able to quickly help our client achieve success and peace of mind." While the full impact of super-storm Sandy will take time to measure, the storm is one of the worst that the Northeast Region has ever experienced. Nearly a week after Sandy came ashore, millions in the region are still without power. As a result of their move to the cloud, WinZip's team is still able to use any Internet-connected device to access email, share documents and collaborate on other cloud-based services. "The predicted path of the storm showed that our servers were in harm's way so we knew we needed to take action," said WinZip Computing president Patrick Nichols. "With Agosto's help we were able to reduce our risk and quickly ensure continuous uptime for our employees and customers." "It was fortunate that we were able to minimize the impact of the storm on our team in the Northeast," said Mark Fernandes, Corel vice president of Global Information Technology. "Knowing that Corel's employees in all divisions can easily communicate and collaborate with each other -- anytime, anywhere, from any device -- while continuing to serve our customers, are primary reasons for going Google. Agosto's fast work and superior customer service are making the transition easier, even during the planning for this disaster. Our thoughts are with everyone whose life or business has been disrupted." With more than a billion downloads, WinZip (www.winzip.com) is the world's leading provider of zip utilities and one of the most popular and trusted applications in the history of the Web. WinZip Computing, a Corel company, draws on its core strength as the #1 zip software provider to deliver the power of compression and encryption to where it's needed most -- email, mobile, social media and online. WinZip's offerings include apps for Windows, Mac, iOS and Android, the ZipSend and ZipShare online services, and WinZip System Utilities Suite. Headquartered in Mansfield, CT, WinZip Computing also has offices in Canada, Spain, the UK and Silicon Valley. 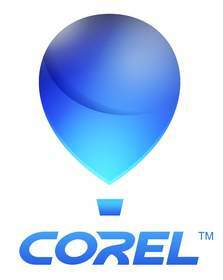 Corel is one of the world's top software companies providing some of the industry's best-known brands, including Roxio®, Pinnacle™ and WinZip®. Boasting the most comprehensive portfolio of graphics, productivity and digital media products, we've built a reputation for delivering innovative software that's easy to learn and use, helping people achieve new levels of creativity and productivity. The industry has responded with hundreds of awards for innovation, design and value. Used by millions of people around the world, our product lines include CorelDRAW® Graphics Suite, Corel® Painter™, Corel® PaintShop® Pro, Corel® VideoStudio®, Corel® WordPerfect® Office, Pinnacle Studio™, Roxio Creator®, Roxio® Toast® and WinZip®. For more information on Corel, please visit www.corel.com. Founded in 2001 in Minneapolis, and with offices in Minneapolis and Toronto, Agosto is one of the world's oldest and fastest-growing Google Apps and cloud consulting firms. One of the earliest Google Apps partners, Agosto served on Google's, Customer Advisory Board in 2008 and joined its Enterprise Advisory Board in 2009, one of only eight partners to sit on the board. In 2012, Agosto received the Minnesota High Tech Association (MHTA) Tekne award in the technology and consulting category for small and growing businesses. Agosto was featured along with Microsoft, Oracle and Rackspace on Talkin' Cloud's 2012 Top 100 Cloud Services Providers List. Agosto's clients include Corel, Dunn Bros Coffee, CATCO, Regis Corporation, The Second City, 2nd Wind Exercise, Famous Dave's, Goodwill Easter Seals and Jaguar Land Rover. Follow us on Twitter at twitter.com/goAgosto. About this company Agosto, Inc.
Corel, one of the world's top software companies, is going Google to provide its employees a way to communicate and collaborate from any device, anytime, anywhere.